Blazers have been getting a lot of love in recent fashion seasons. 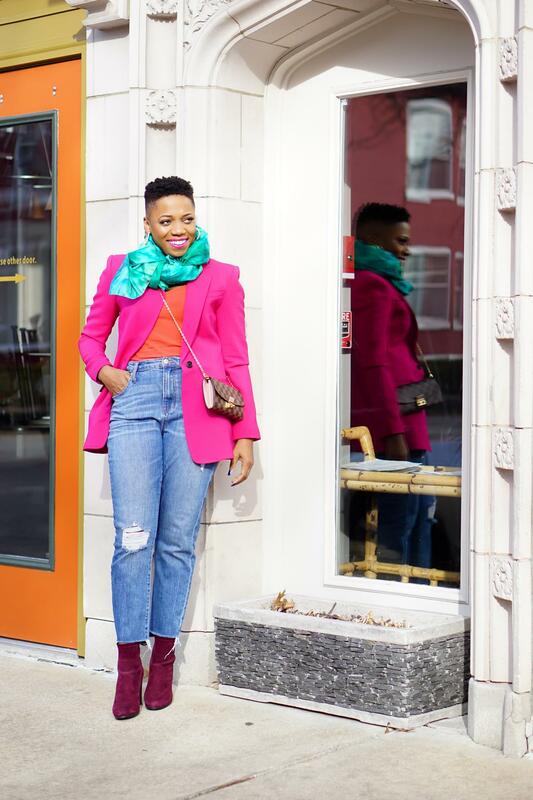 For blazer lovers, the news comes as no surprise because blazers will always be style staples. They’re sharp looking. They’re versatile. And, this spring? They’re bold and bright. 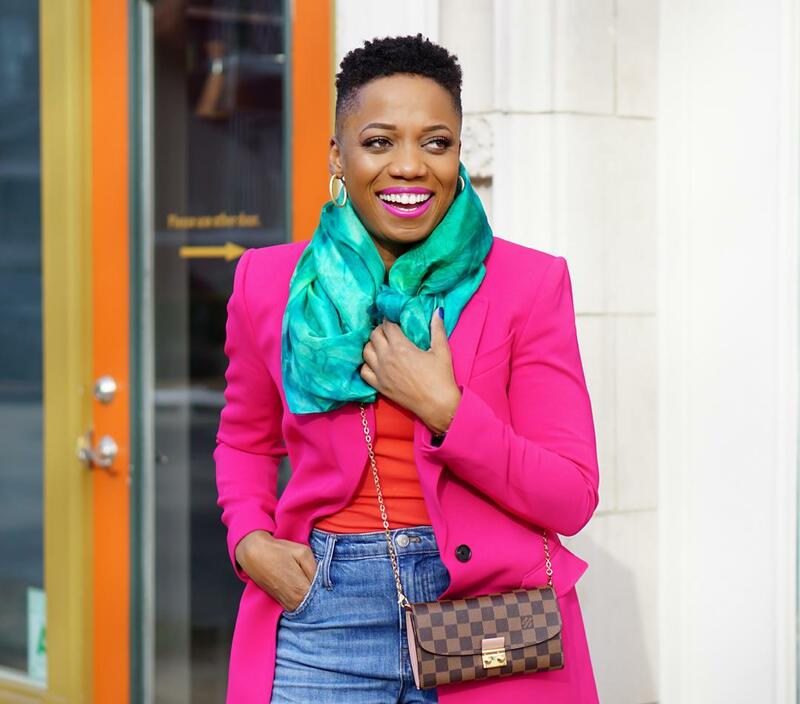 In Go For Bold And Bright Blazers This Year, I shared an easy way to wear a blazer, as a simple pop of color with basics. 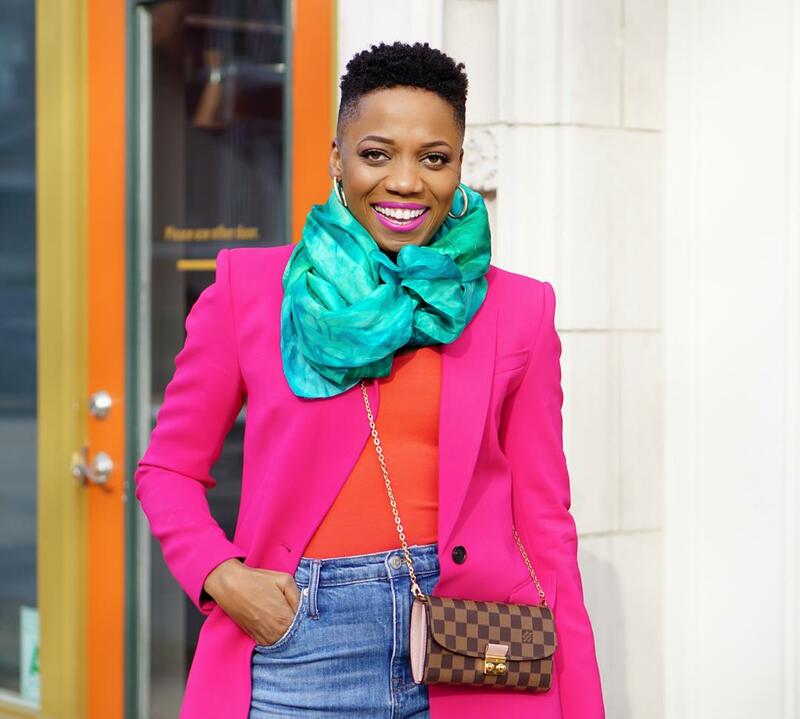 Today, I’m sharing a bolder way to rock the bright blazer trend. Move over, black blazer. 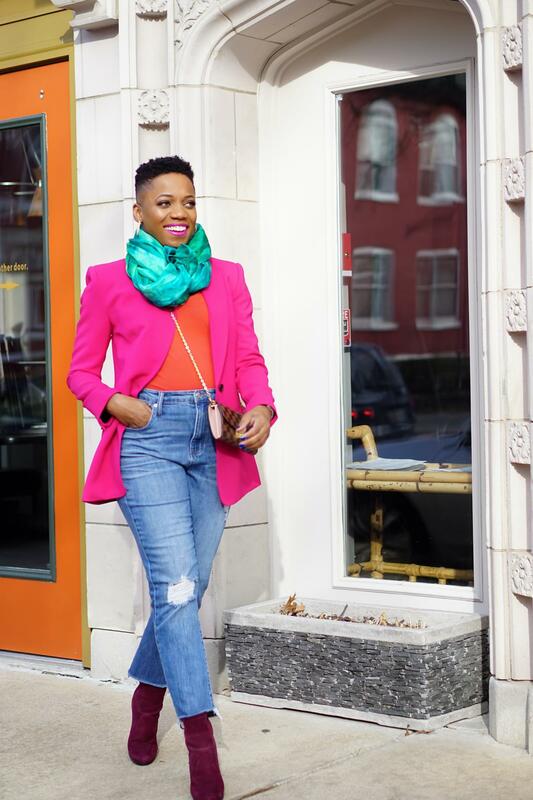 Bright blazers that pack a punch are having a moment. And, the best way to wear them? With other brights, of course. If you’re experimenting with color mixing for the first time, the color wheel can be a great guide. Hues that are next to each other on the color wheel are called analogous colors, while shades that are opposite each other are called contrasting colors. Color harmony can be reached by pairing analogous colors as well as contrasting colors together. I’m doing a little bit both in this look. 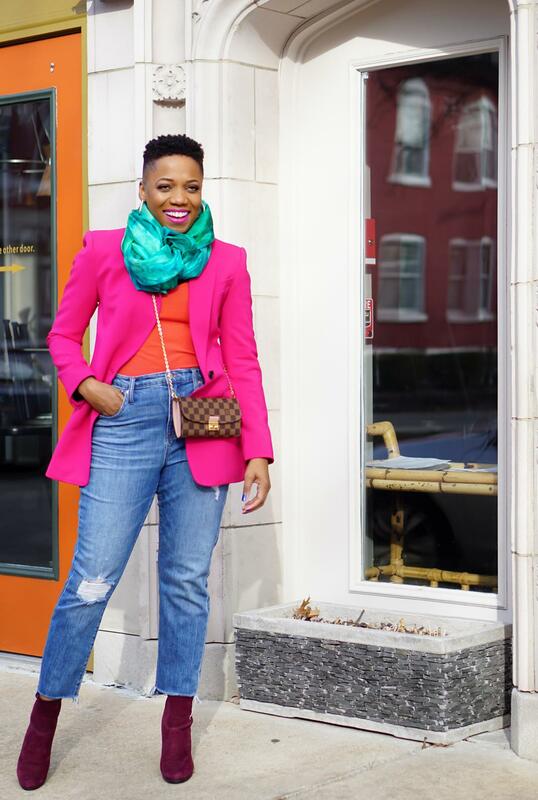 By the way, there is no need to wait for spring to start reaching for your brights. 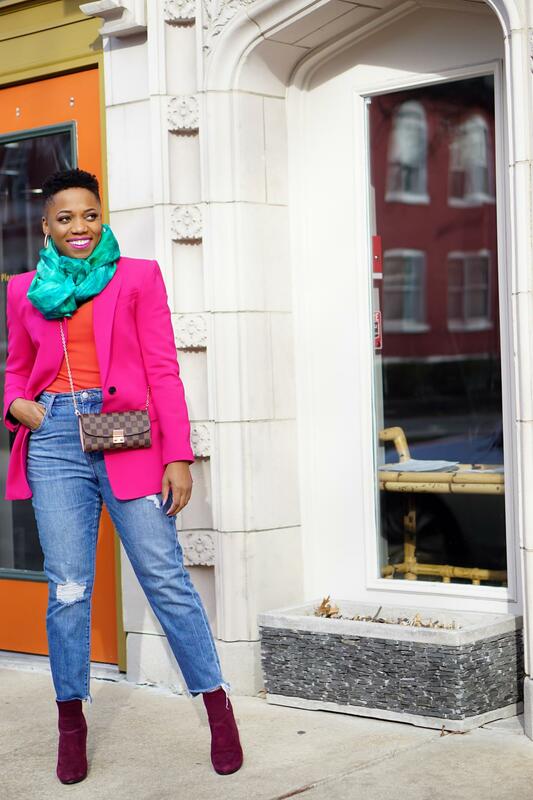 Bold colors can be the perfect mood boosters during a dreary winter. I should know. I wore this exact outfit out and about yesterday, and I was met with smiles everywhere. My blazer is an A.L.C. style I found on sale in Nordstrom at the St. Louis Galleria. It might still be in some stores, but it has sold out online. Banana Republic has a few gorgeous bright blazers, though, including a similar pink one (on sale).